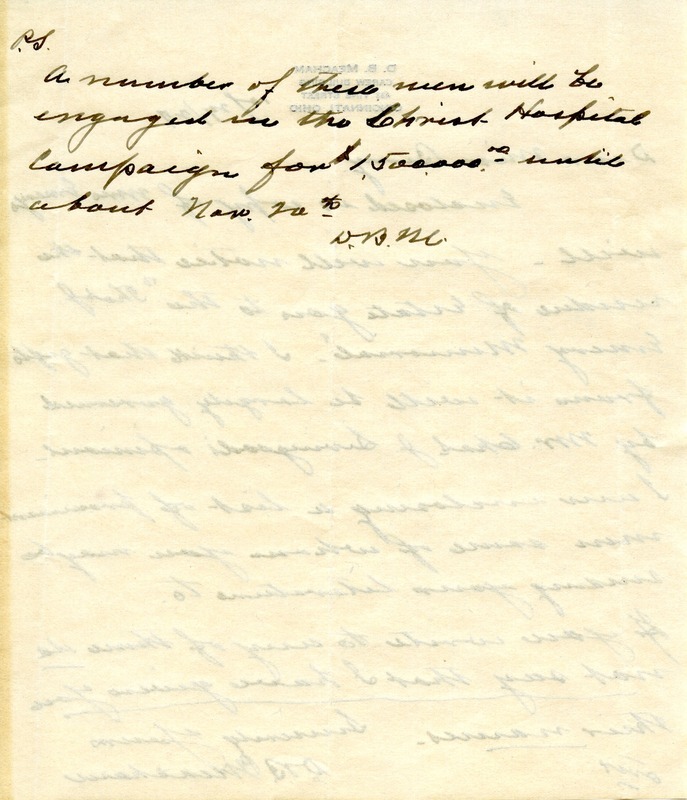 Meacham encloses a copy of Mrs. Emery's will, which includes a bequest to the Thos. J. Emery Memorial. Meacham suggests that Berry send literature to some "prominent men" but cautions that she not reveal that he gave her their names. 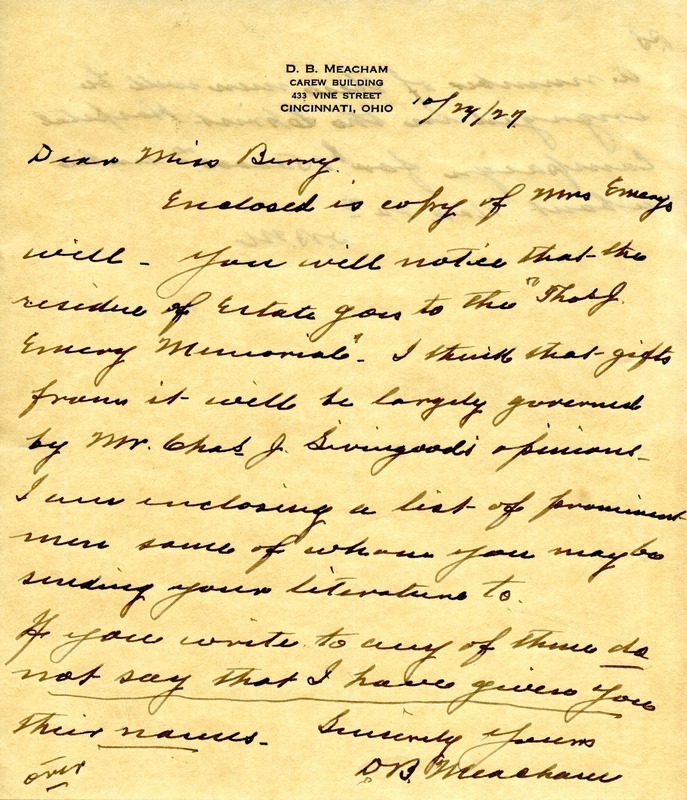 D B Meacham, “Letter to Martha Berry from D.B. Meacham.” Martha Berry Digital Archive. Eds. Schlitz, Stephanie A., Sherre Harrington, Aaron Jackson, et al. Mount Berry: Berry College, 2012. accessed April 21, 2019, https://mbda.berry.edu/items/show/4991.